Batavia, OH – Monday, August 26, marks the anniversary of the 19th Amendment granting women full voting rights and is also celebrated nationally as Women’s Equality Day. 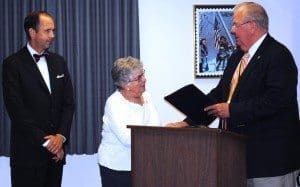 In honor of the League of Women Voters’ 93rd anniversary, the Board of Clermont County Commissioners issued a Proclamation designating Monday, August 26, 2013, to be “League of Women Voters: Making Democracy Work Day” in Clermont County, Ohio. The Commissioners are asking all Clermont County citizens to recognize the sacrifice that the League of Women Voters has made in the community. The League of Women Voters (LWV) of Clermont County is a non-partisan political organization that encourages the informed and active participation of citizens in government and influences public policy through education and advocacy. The LWV is known for undertaking the vitally important task of registering new voters and informing them of the political process. 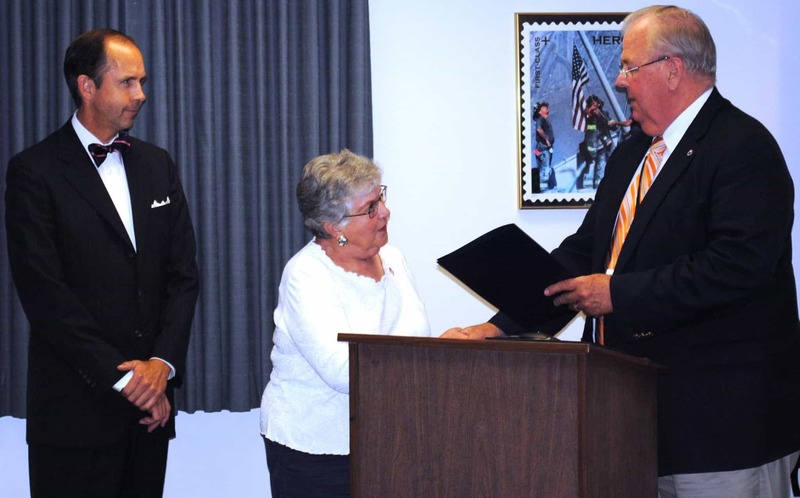 Ms. J. Yvette Duguay was present to accept the Proclamation on behalf of the League of Women Voters of Clermont County. Duguay announced this year their group is focusing on helping high school seniors register to vote and become lifelong voters. The LWV of Clermont County will hold their 17th annual Suffragist Dinner at Receptions/Eastgate Tuesday, Aug. 27. The event will recognize the outstanding volunteer work of 8 Clermont County women. The award dinner is named in honor of Orpha Gatch (1892-1991) of Milford. The guest speaker this year is Kerrie Logan Hollihan, an award-winning author. She is expected to share insights from her latest book, “Rightfully Ours: How Women Won the Vote.” Reservations may still be available at: lwvclermont.com. The cost is $35. For questions, contact lwvcctreas@cinci.rr.com. The LWV meetings are the fourth Tuesday of each month, for more information call 513-752-8011. Visit VOTE411.org and register to vote!